It Has Abundant Live Active Cultures!. Yogurt is produced by incubating milk by adding to it a small amount of yogurt culture composed of lactic acid bacteria; usually Lactobacillus Bulgaricus and Streptococcus Thermophilus. Nowadays,there is a growing body of evidence that probiotics or foods that contain live bacteria are good for the health. Diet is one of the most important factors influencing the complex processes of ageing. Fermented milk has its place in the dietary prevention of age-related disorders. With regard to nutrition, fermented milk helps to maintain food and water intake, which are often reduced in older people. Scientists have proven that lactic acid bacteria found in yogurt can pass through the various barriers in the digestive tract and arrive in the intestine in their live state helping restore and maintain the intestinal flora so essential to digestion and good health. Live acid bacteria also prevent undesirable cultures from forming in the finished product, thereby keeping it pure and fresh. Yogurt, with live and active cultures may help also decrease symptoms of lactose intolerance.This is why many people whose body has difficulty in making use of lactose are able to consume yogurt with great pleasure. Encouraging early results suggest that fermented milk has a positive effect on the immune defense system, intestinal transit, muscle mass and cardiovascular disease. Other avenues that merit investigation include colon cancer and cataract. To be truly effective, it is important that the beneficial bacteria in the yogurt are alive and you consume them regularly in large numbers. Fresh yogurts containing live and active cultures are always kept refrigerated before consumption and have a relatively short shelf life. Heat-treated yogurts, on the other hand, do not contain live cultures and have longer shelf lives but the health benefits derived from live cultures are not found in them. 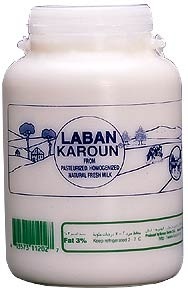 dairy products of premium quality by applying hygienic practices. We guarantee that all our fermented products contain live active cultures beneficial to your health.